My Heart Will Triumph by Mirjana Soldo is available to retailers, distributors, organizations—and anyone who wishes to buy copies of the book in bulk. Discounts between 40% to 50% off the retail price are available, and all bulk/wholesale orders get FREE SHIPPING in the USA. To Order: Go to My Heart Will Triumph on CatholicShop.com and add your desired quantity to the shopping cart. Your quantity discount and free US shipping will be automatically calculated and reflected in your order total. Next, proceed to check-out. Enter your billing/shipping information, and then choose your payment method, and place your order. Your payment will be charged upon placing your order and the CatholicShop.com staff will ship your order to you. *Every sale of this book on CatholicShop.com benefits Mary’s Meals, a charity that feeds over a million children every day. In the UK and Europe, My Heart Will Triumph is available to retailers at wholesale prices through our partnership with Ingram, one of the world’s largest book distributors and printers. The book should be available in Europe from the following Ingram partners. Contact them directly to order. 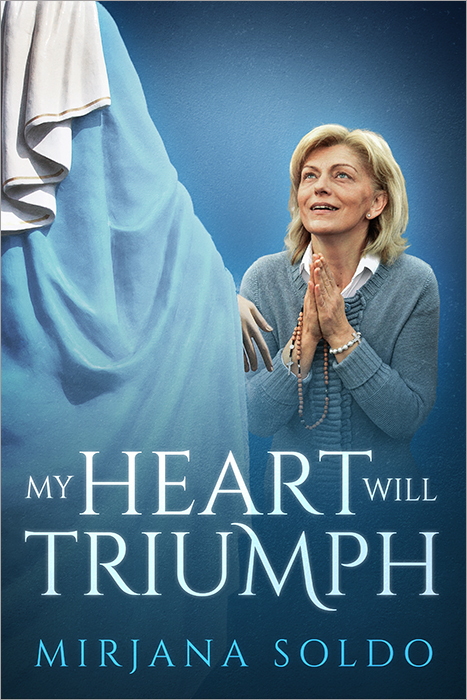 In Australia and New Zealand, My Heart Will Triumph is available to retailers at wholesale prices through our partnership with Ingram, one of the world’s largest book distributors and printers. The book should be available from the following Ingram partners in Australia and New Zealand. Contact them directly to order.